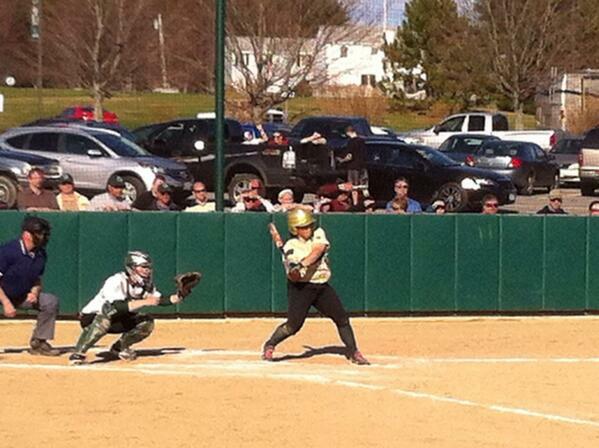 Pitching was the story as Husson shut out Farmington 6-0 in game one and blanked Castleton St. 2-0. Becca McCarty pitched 6 shut out innings well only giving up one hit in the victory over Farmington. Amanda Ryan carried the torch for Husson in game two with a complete game shut out and stuck out 9 in a win over Castelton. Husson will take on the winner of Castleton St vs Lyndon St at 2 PM Saturday April 27 for the Conference title.